When we talk about the three best universities of ancient India, the very ones revolving in our mind shall always be Vikramshila, along with Nalanda and Takshashila. Nalanda is quite close to Bodh Gaya and hence a lot of tourists keep visiting it. And Takshashila again is in Pakistan and hence is not easily accessible whereas Vikramshila lies near Antichak in the Bhagalpur district of Bihar. So, are you interested in knowing by whom was the university founded? 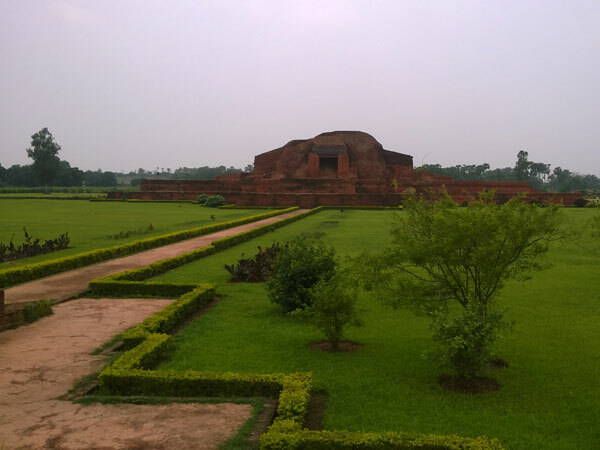 Sprawling over an area of 100 acres, the Vikramshila University was discovered by Dharmapala, the ruler of the Pala dynasty of Bengal towards the late eighth century. Before the Muslims touched the university and caused its destruction, it stood strong for about 400 years as one of the best educational institutions. If we talk about a Tibetan scholar Taranath, it was him who actually kept proof of the existence of the magnificent university, calling it 'Vikramshila Mahavir'. But why the name? It seems there was a Yaksha named 'Vikramshil' hidden in this place. But it got royal importance in India; where it was called the 'Rajagriha Mahavihar'. But is this true? Yes, it is! According to a series of metal certificates unearthed from the excavation. By Air: Patna would be the nearest airport at about 291 km. By Rail: The closest railway station would definitely be Khalgaon. By Road: It is around 281 km from Gaya, 391 km from Motihari, 308 km from Muzaffarpur, 245 km from Biharsharif and 310 km from Bodhgaya. The university at one point of time was traversed by a lot of students and teachers from various parts of Asia. If you compare Vikramshila with Nalanda and Odantapuri, it flaunts as much as the two when it comes to the grandeur as well as its untarnished reputation. As it is a university, anyone would wonder about what are the subjects taught here. It includes theology, grammar, philosophy, logic and metaphysics. But the one subject Vikramshila University got the most recognition for was 'Vajrayana Buddhism', which the tantric preceptors kept in touch with! It was those times when Buddhism and Hinduism were affected greatly by both necromancy and black magic. For those who do not know, 'necromancy' refers to the art of witchcraft and wizardry. Daily affairs in the university were looked after by an academic council. Teachers hopping from Nalanda to Vikramshila and vice-versa was a common issue. And why was this not surprising? Because the great King Dharmapala played patron of both the institutions. But when it underwent destruction, the site was totally absconded and remained under-cover for centuries! But, how did it come to notice once again? It was by a certain Lakshmikanta Mishra, who found this mound near the Antichak village. Excavations began but nothing solid was found. It was finally undertaken as a project for exploration by the archaeological department of Patna University, along with the Archaeological Survey of India, under the guidance of DC Verma. Excavations did not stop till 1969. Again, the era between 1972 and 1982 saw another excavation expedition by the ASI. These two huge projects did bear fruit. A gigantic monastery with a cruciform stupa in the middle, a library, numerous small stupas and a profusion of Hindu and Tibetan sculptures were discovered. It can proudly be said to be one of the largest archaeological excavations in independent India. But if you come to think of it, the main attraction has to be the central stupa. And, of course, it is surrounded by many miniature stupas. It is built of bricks and solid mud. The height of the two-storeyed stupa is around 15 m. Each storey will be around 2.5 m in height with the presence of two terraces adorned with a circumambulatory path that can help you traverse around the structure. When we talk about the terrace walls, they are beautifully decorated with terracotta panels, although a lot of them have now been destroyed. The figurines are nature-wise belonging to both Hinduism and Buddhism. So, a glimpse at the panels shall introduce you to Buddha, Jambala, Manjusrei, Tara, etc. as well as Hindu deities also make their mark there like Vishnu, Parvati and Hanuman. You cannot miss out on the scenes of hunting, snake charming as well as dancing. We can also mention the figures of yogis, drummers, lions and elephants. Heard of a residential block for the monks? Yes, it exists. But, it was a magnanimous structure in the past, which has now reduced to just a square plot which measures 330 m on either side. Four large chambers are present in each flank which begin with a majestic entrance in the north. The roof was strongly supported by pillars in the past but is now destroyed to a huge extent. If we have to give you a count, the monastery comprises around 208 cells, 52 on each side, for both students and teachers. A verandah is present as the connecting point between all the cells and a flight of stairs shall guide you from the central place to a courtyard. Three beds are present in each cell. And each block also flaunts a well-planned drainage system. When you look at the remnants of the library building, you shall realize how much Vikramshila was focused on as a centre for Buddhist scriptures. If we highlight the big reservoir filled with water for nourishing the back wall of the building, it is a piece of engineering perfection. Could you have guessed that this is where the priceless manuscripts were conserved? Nevertheless, the archaeological museum set up in November 2004 shall definitely catch your attention and a visit to Vikramshila without going here shall definitely be a waste! Numerous site excavations are put on a show here. You can find statues of Loknath, Mahakal, Tara and many Buddha figurines. Do you know how these statues have been designed? According to the Pala school of art. Some of them have been polished to perfection and glitter and made out of black basalt. Other gorgeous things on display include terracotta motifs, coins, household utensils, stone inscriptions, iron arrowheads, ornaments and daggers. It is heart-breaking that Vikramshila is now in the forgotten memoirs of people. But, this fact is also true that with its wondrous past, it deserves a good spot in our conscious memory! So, do not delay your trip to Bhagalpur and check Vikramshila University out!